Whether your projects involve a lot of international cooperation or you just want a more flexible communications systems, our low cost telephone will save you up to 50% on communications. Avoid the cost of investing in a traditional phone system while enjoying all of the same features (call forwarding and transfer, teleconferencing, voice messaging, etc.) plus features not included in traditional systems. Phone numbers independent of geographical location. Customers can easily contact your from anywhere in the world. Scalability, it is easy to add or subtract new stations as needed to meet changing demands. Easily outsource helplines, call centers, etc. Can be used with an already existing SIP service. 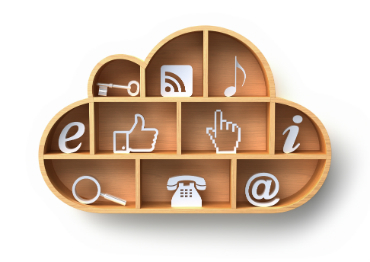 We host your telephony solution on a virtual private cloud. This allows for simple and convenient integration with your information system and easy customization. With the Asterisk platform, your IP telephony system is completely under your control. You can easily write scripts to direct and redirect calls, phone activity can be logged and collected data organized into useful reports, and changing the number of positions is as easy as a few clicks of a mouse and a few presses of a keyboard. If Asterisk is not suitable for your needs, Pentalog is more than happy to set up your IP telephony system using any other platform. As with everything Pentalog, we offer a dedicated solution and support is available 24 hours, 7 days a week. No need to invest in a traditional communications system when you can save money while receiving better, more flexible service. Do yourself and your clients a favor by switching to a VoIP system. In just a few clicks you can benefit from a VoIP solution and receive your IP desk-phones and phone numbers in a matter of days.